Mongols have being living in deep harmony with the nature and lands and showing deep reverence for natural wealth such as rivers and lakes, forests, plants, lands and wildlife. Mongols keep a tradition of caring and preserving the nature like the apple of their own eyes. Meaning that, the eye is described in the basis of the logo. It symbolizes the wisdom which has been and will be passing the tradition of symbiotic relations with the nature from generation to generation. Eyelash which protects eyes from outside forces interprets the context whereby lands without vegetation and plants tend to degrade and desertified causing, in the end, climate change and destruction of living beings on the earth. 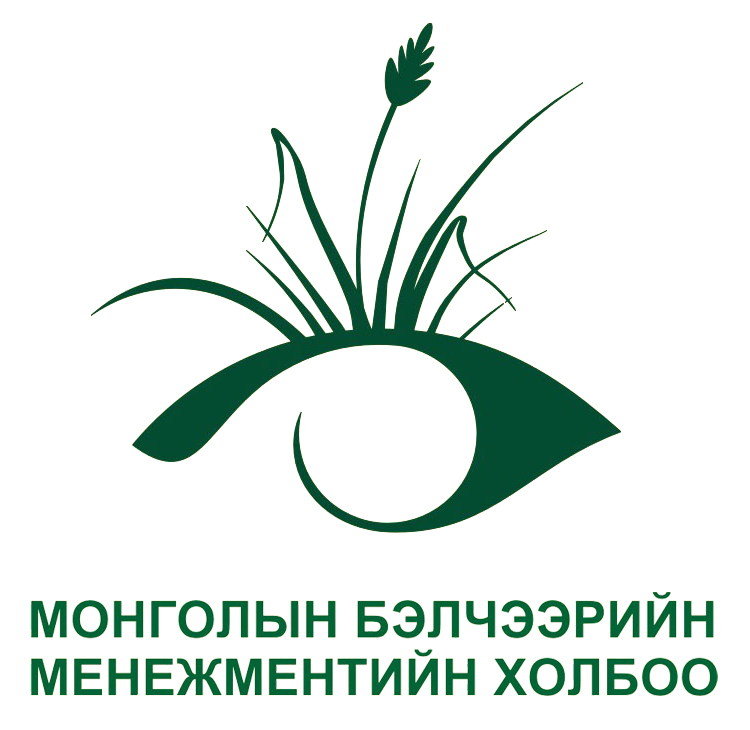 The eyelash of the eye in the logo which symbolizes vegetation is a sign of security of the country’s independence and long term existence. 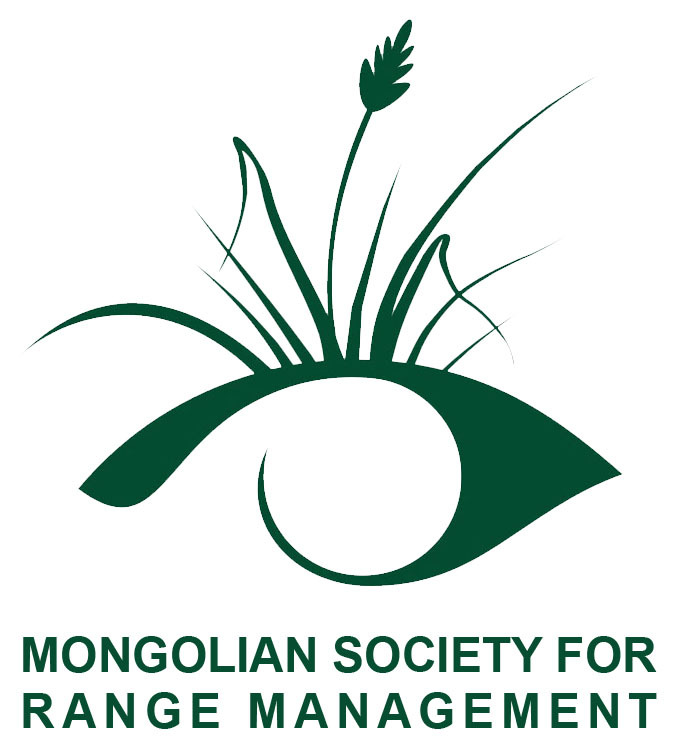 The logo of the Mongolian Society for Rangeland Management is a valuable holding which represents the society and its members. It is allowed that the logo of the society is used alone. As for the name of the society, Mongolian and English names which are placed in 2 rows can be used with the logo. The colour is deep green symbolizing the maturity colour of plant growth. Depending on the publishing design, a combination of black and white colours can be used. No other colours are prohibited for use. The name of the society cannot be abbreviated and modified. Similarly, letter fonts cannot be replaced or changed. It is prohibited to disturb the ratio, include the name of other organization and add or delete any symbol. The logo is strictly banned for use in any advocacy and publication materials which contradict with the rule of the society, the reputation of the society and rights and interests of its members. This is true also for advocacy and publication materials which have been prepared with no participation from the society.